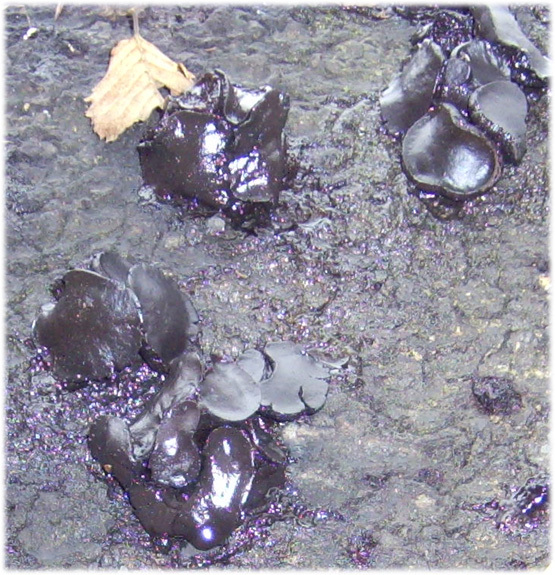 A common and very distinctive fungus; fresh fruiting bodies are sessile and globose, 2-4cm across and black or very dark brown. 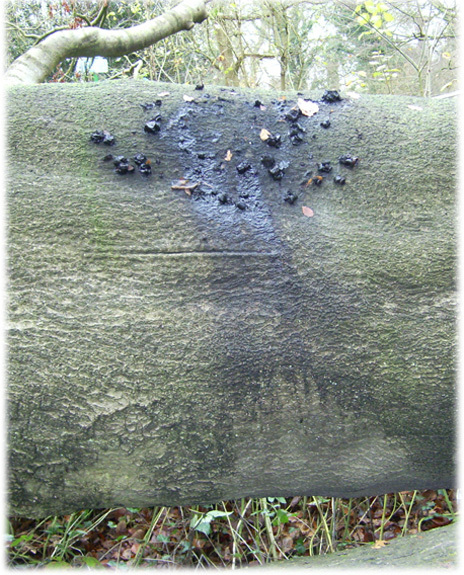 They tend to occur in groups on fallen trunks or logs of oak and beech.They have the consistency of rubber and contain a jelly like substance which leaks out as the body expands and opens, dark brown or black spores can often be seen colouring the substrate. Fruiting bodies generally occur during September, October and November. We feature them simply because they have been common round the borders of Whippendell wood during October, November and December 2008 on fallen beech trunks and boughs. A few samples have been tried in a berlese funnel but so far no Coleoptera have been found.